We support each parent in the process of selecting the right senior school for their child. We are very experienced in the process of choosing suitable senior schools for each pupil and are aware that every child has specific abilities, individual talents and requirements. Our Head not only knows our pupils well but also has connections with each senior school, understanding their ethos and entrance conditions to assist parents with this sometimes daunting task. As we move to an 11+ only prep school from September 2020, we prepare and support our pupils with entrance to their preferred 11+ senior schools. 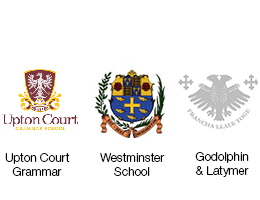 Historically the most popular schools for boys leaving Clifton Lodge have been Merchant Taylors’ School, City of London Boys’ School, Hampton, The John Lyon School and St Benedict’s. Girls leaving us in Year 6 have gained places at Nottinghill & Ealing High School, St Augustine’s Priory, St Benedict’s, Latymer Upper School, Godolphin & Latymer & Putney High. The great majority of pupils gain admission to their preferred secondary schools and leave thoroughly prepared for the next stage of their education.